After reading “Stiletto Network” by Pamela Ryckman, 24 year old Deja Jones got the idea of starting her own networking group for young women her ages 17-30 where they could embrace friendship and share stories of triumph and have a support system through their setbacks. Thus, ‘Wanderlust Musings’ was born in January of 2014. The group served to improve and inspire the lives of these women and help women reach their dreams and achieve their goals. 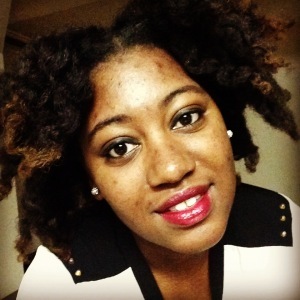 Aspiring to be a writer since she was a child, Deja began sharing stories about pivotal moments in her life from relationship failures, finding herself spiritually, and finding a balance in working towards the career she wanted while maintaining a part-time job. Sharing her stories began to evolve into something more when she realized that many people found inspiration through her words. Women are often charged with being “petty”, “drama-queens” and it is said that we just don’t get along with each other. I can’t tell you how many times I have heard a young lady state that she does not like to hang around other women because it’s too much drama. We as women need to reestablish what it means to be a sisterhood no matter what parts of life we stem from. There are several benefits of having a strong sisterhood. Sisterhood helps to build accountability relationships. Whether you are struggling financially, spiritually, physically or academically you can depend on your sisterhood network to help you through it and hold you accountable to your growth plan. Having someone call you up or check in on you to make sure you are holding up your end of your solution plan is necessary. When times get rough we all need the cushion of sisterhood to fall back on. Sisterhood helps us improve our self-image. As women we often are our own worst critics when it comes to our appearance. We also become body obsessed with images of “perfection” according to what we see in different mediums. Being around other women helps us to feel good about ourselves and confident in embracing our individuality. A great example of this would be the national campaign launched by Dove that focused on women of different sizes and color. The campaign was one of the first to challenge beauty standards in USA. Sisterhood can be very uplifting and empowering which in turn offers great support systems. These support systems help us learn about our own selves and get us through the toughest of times. They also help us celebrate the good in our lives as a unit. Sisterhood teaches us a great lesson on love and patience. As women, we are biologically more emotionally driven than men are which means that the way we resolve conflicts are different. It takes a lot of patience and love to get through even the worst of times together. I also realized how important sisterhood was to my spiritual journey. As someone raised on Christian principles, I have always found myself teetering between the practices of the faith and just completely distanced from it. I’m constantly warring between what I’ve been taught to believe and the beliefs that I’ve formulated myself. Whenever I find myself at a crossroads or at a standstill spiritually I know that I can always rely on my network of sisters to help me find clarity, pray with me or do a devotional with me to help me through. When in doubt and when I want to push them away, I’ve learned to pull them closer. So before you consider knocking friendships with women because of drama, think of all the benefits that come along with it. As women we need to learn to stick together against all odds. 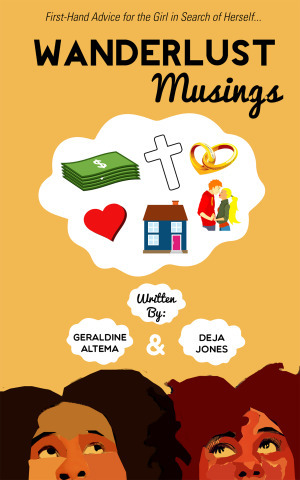 In the book, Wanderlust Musings, two twenty-something year olds, Deja and Gigi share stories of how friendship is important to them, the perils and their triumphs in dating, finding themselves spiritually and finding acceptance in who they are as individuals all the while working their way up in the career world. With each lesson learned, these two share very reflective stories in a way that forces other young women to examine their own lives. The book will be available through Createspace and Amazon on December 12, 2014.